The cathedral of Siena seen from the top of the cathedral museum (Museo dell' Opera Metropolitana) in front of dramatic evening clouds. 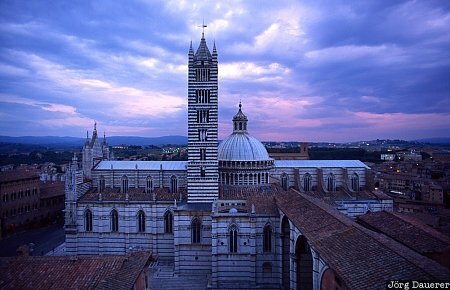 Siena is in the heart of Tuscany in central Italy. This photo was taken at sunset in October of 1998.